Colour slide (35mm.) 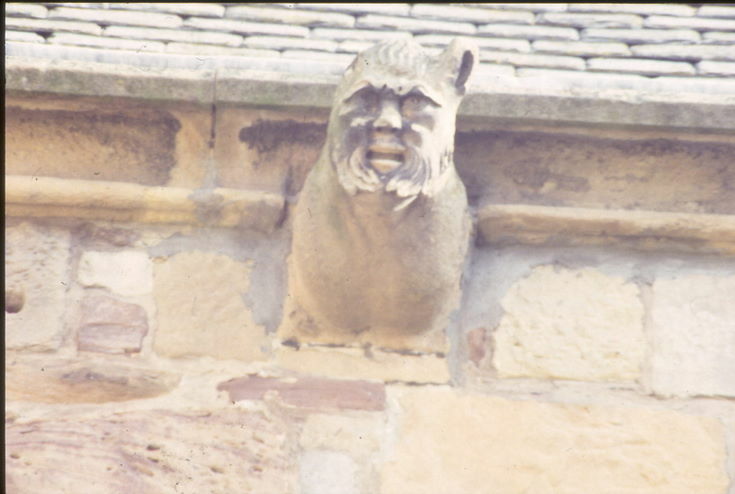 showing gargoyle no.12 at Dornoch Cathedral. The position of the gargoyle can be ascertained by reference to a plan at picture #2698.